I rarely contribute to Kickstarter projects nowadays - mainly because I've already backed 26 successful funding campaigns (8 failed) over the past few years and I'm still waiting on many of them to be delivered (I think 8 out of the projects I've backed have actually been delivered). So I've definitely reigned in my spending when it comes to new Kickstarters, (not to mention my financial situation is no longer as good as it was back then): however I do make exceptions and this project is one of them. David Lowe is a video game composer from way back who is fairly well known for composing soundtracks for many old PC games (mainly on the Amiga) in the 80s and 90s such as Starglider, Carrier Command, Altered Beast, Railroad Tycoon, Pinball Dreams, Street Fighter II, Frontier: Elite II and Beneath a Steel Sky. 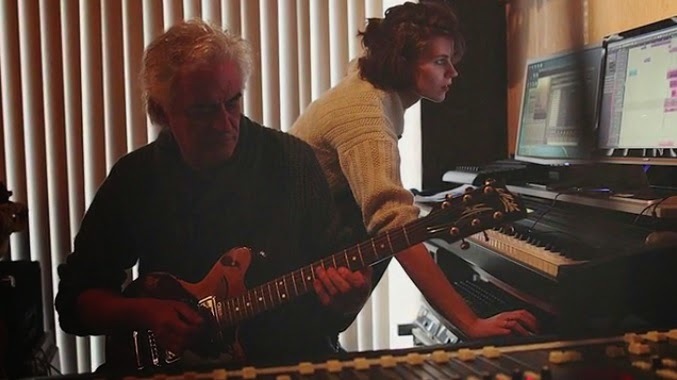 Well a lot of his fans have been asking whether he'd ever redo his music or release the originals, so he and one of his daughters, Holly Jazz Lowe (who is also a musician), have gone to Kickstarter to seek funds for a double-disc album called "A Temporal Shift": one of the discs will contain the original music played and recorded from the original hardware and the second disc will have totally remade music based on the original themes. Apparently there will be 12-14 tracks per disc so there'll be plenty to listen to but the most exciting prospect with this whole project is the stretch goal they are suggesting. Details haven't been finalised yet but the Lowes plan to have the Elite Frontier themes performed by a live orchestra! Now that would really make my day! £10 or about $20 AUD will get you a digital copy of the album but if you want physical copies you'll have to fork out some more. Anyway some fans have already posted their reinterpretations of the Frontier: Elite II theme and intro - I think this is one of the better ones (although the pedant in me is pretty sure the original intro was set on Mars not Earth :)). Hopefully we'll get music like this out of the project! Cheers for the link Paul - it's a good interview :). Hopefully the Lowes will get funded (especially the stretch goal)!